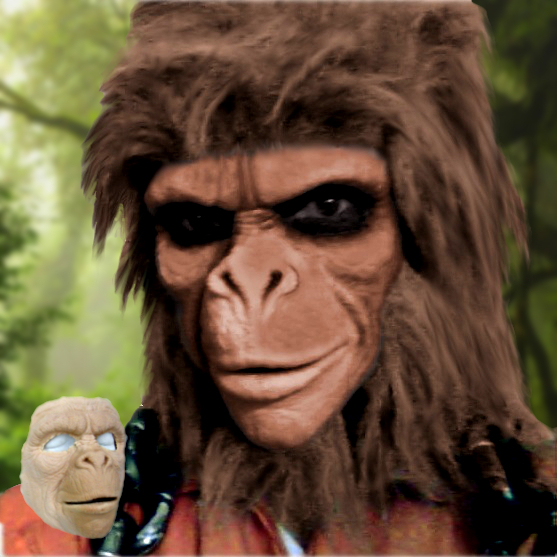 Our ape mask is made of soft foam latex. 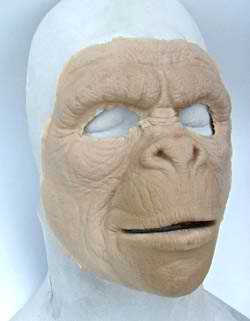 Perfect for a “Planet of the Apes” cosplay character at your next convention. Wig not included. Tip: Before applying makeup, wash mask with baby shampoo, then add one drop of vanilla. It will smell great! Do not wring the foam as it could tear. Blot with a paper towel to dry and let thoroughly dry overnight. Check out our Foam Latex: Makeup Application Kit. It is perfect for all foam latex masks and rubber latex appliances. It includes everything needed to attach, color and remove latex masks or foam latex appliances. Since the kit comes complete, you’ll save time and money. Great for beginners. Download our FREE guide on how to apply your mask or appliance, hide the edges, add makeup, remove and store your foam latex mask.